REUSE the truck accessories you already have from your pull out. Custom Truck accessory relocation brackets you design from the many options we carry. Welcome to LSSimple. 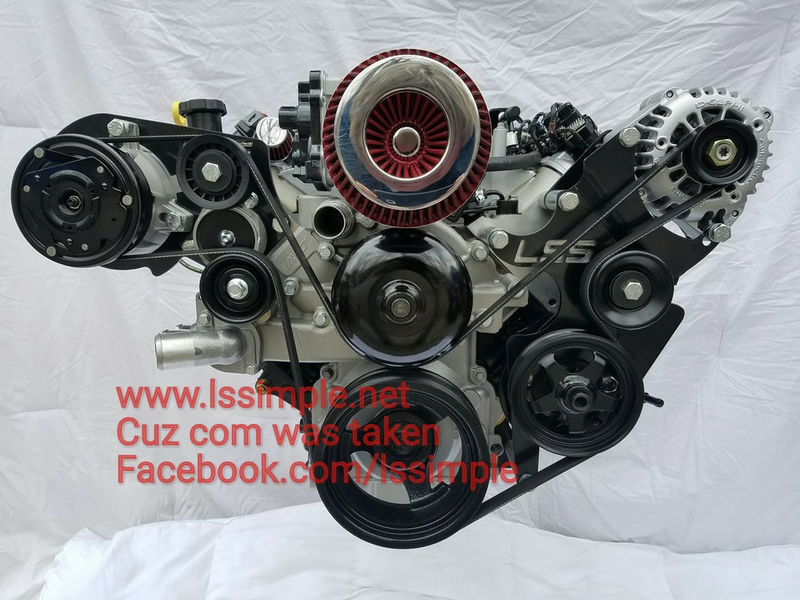 Best solution to install your LS truck engine into other vehicles. Having trouble shutting your hood with the factory bracket? 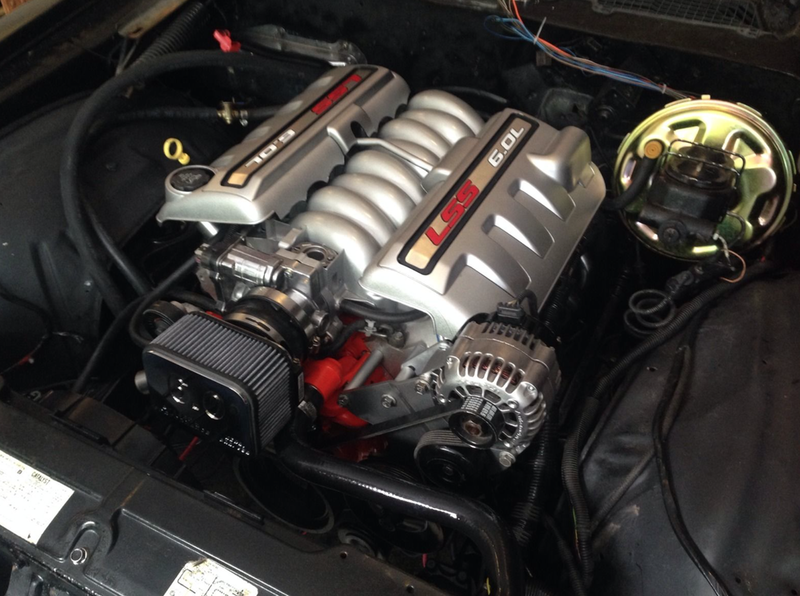 Want to use a car intake and belt got you stumped? A simple pre-assembled custom LSSimple kit with solve your troubles. Please take time to read , look in the menu, ABC's of LS swaps and information on how to customize your accessory drive kit. Reuse truck accessories you got with your take out..
We do not sell, one kit to fit all...we sell all kits to fit one. Please keep in mind all the combinations are not to confuse you. All kits pre- assembled for easy installation. truck spacing or f-body spacing using truck accessories. I RECOMMEND truck spacing unless you have clearance issues in front of the engine. That way you do not have to change crank pulley. If you are confused about what you need I will spec out your bracket needs and help you with water pump combinations. $ave money by not buying wrong parts, its not supposed to be an experiment. its all relevant! water pump is the basis of your build. Keep in mind a fbody water pump and 3/4 spacer kit is still considered truck spacing. belt sizes differ when using different tensioners. Size alternator matters for belt size. regular size 105 Amp alternator factory Gm has Delphi automotive on it and 145A has DR44 on it.